Amarapura (City of Immortality) is a city in the Mandalay Division of Myanmar, situated 11 km to the south of Mandalay. It is often referred to as Taungmyo (Southern City) in relation to Mandalay but nowadays the two have become continuous from urban sprawl. King Bodawpaya (1781-1819) of the Konbaung Dynasty founded Amarapura as his new capital in 1783, soon after he ascended the throne. In 1795, he received the first British embassy to Burma from the British East India Company led by Michael Symes . Bodawpaya's grandson, King Bagyidaw (1819-1837), moved the Court back to Ava in 1823. 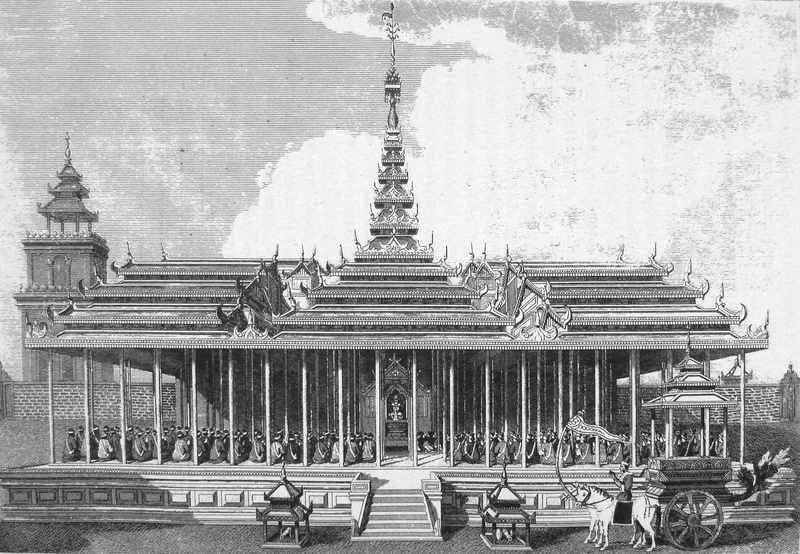 Bagyidaw's successor King Tharrawaddy (1837-1846) again moved the royal capital back to Amarapura. 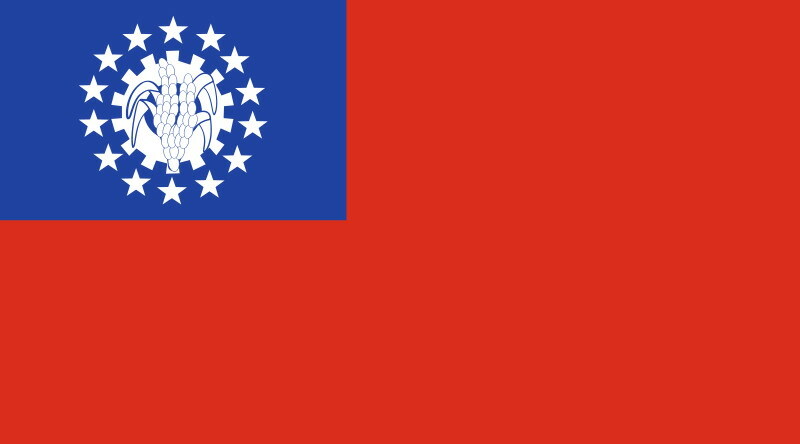 From 1841-1857, King Mindon (1853-1878) decided to make Amarapura the capital again before relocating to his planned city of Mandalay in 1860. Today little remains of the old city as the palace buildings were dismantled and moved by elephant to the new location, and the city walls were pulled down for use as building materials for roads and railways. Part of the moat is still recognisable near Bagaya Monastery. The city is known today for its traditional silk and cotton weaving, and bronze casting. It is a popular tourist day-trip destination from Mandalay. * Pahtodawgyi – A stupa built by King Bodawpaya in 1816 outside the city walls. * Bagaya Kyaung – a wooden monastery founded by King Mindon. In 1800, Buddhist clergy from Sri Lanka obtained higher ordination in this city and founded the Amarapura Nikaya (Amarapura sect). There is a Yadanabon University near by U Bein’s Bridge. In 1790 Bodawpaya begun the construction of a gigantic stupa called Mantalagyi (Great Royal Stupa) at Mingun, 11 km up the River Irrawaddy from Mandalay on the west bank. It was however never finished after a prophecy went round saying Payagyi lè apeethat, moksoe thonnya kap - 'Once the great pagoda has been wrought, the Moksoe dynasty will come to nought'. It was meant to have stood 150 metres, tall enough to be seen from Shwebo in the west, the birthplace of the dynasty, towering above the Minwun Hills. An earthquake in 1838 left huge fissures in the structure, and also caused the heads of the two gigantic chinthes fall into the river. It remains the largest pile of bricks in the world. There was also a gigantic 90 ton bell dedicated to the stupa called the Mingun Bell, cast between 1808 and 1810. It is the largest ringing bell in the world as the larger bell in Moscow Kremlin called the Tsar bell is broken.During his reign Bodawpaya also proved to be a great patron of the performing arts; he appointed a minister called Thabin Wun, and established strict regulations by royal decree (Ameintdaw). He also ordered a major economic survey of the kingdom in 1784.